Meningiomas account for greater than one-third of all primary central nervous system tumors. Though in many cases they are pathologically benign, the presence and growth of such tumors in eloquent central nerve system locations may confer significant risk, potentially resulting in severe morbidity and mortality. Treatment of these tumors varies with tumor location and WHO classification. Rigorous clinical observation, surgical resection and radiation therapy are all appropriate in treating meningiomas. Given the diversity of tumor locations and pathology, it is critical for medical professionals to possess comprehensive knowledge of the diverse management of meningiomas. This formal reference is critical in understanding the surgical approaches and treatment of meningiomas. Medical practitioners including but not limited to neurosurgeons, radiation oncologists, medical oncologists, neurologists, internal medicine physicians, as well as nurses and physician assistants alike can all benefit from this resource. This text will facilitate the understanding of meningiomas, foster learning of the most current surgical approaches, and comprehensively equip medical providers to deliver comprehensive care to patients with meningiomas. 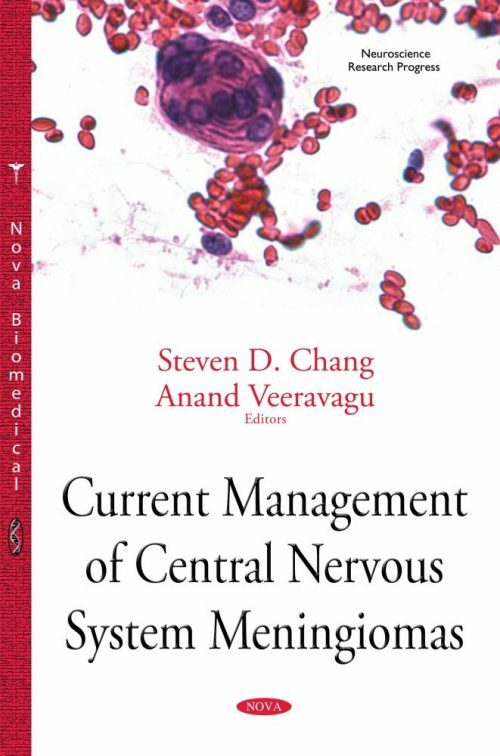 This text provides a comprehensive and up-to-date resource for the surgical and radiosurgical management of meningiomas. It contains references to the latest peer-reviewed literature in the field and is distinctive in its focus on patient management and outcomes. With extensive clinical experience in the treatment of meningiomas, Dr. Steven Chang and Dr. Anand Veeravagu present a unique perspective and fluency in the treatment of this brain tumor.